If someone asked me which plot twists from my long list of dramas I remembered best, the answer wouldn’t be the best ones — or the worst ones. Good plot twists cease being twists in my mind after the first watch. Instead, I look back and see a well-integrated story with well-placed messages. Bad plot twists are usually swiftly erased from my mind after my initial knee-jerk rage and rants die down. The plot twists I can’t forget are the ambiguous ones. The unexpected turns that inspire necessary and important development, but somehow also feel needlessly dramatic and manipulative. The revelations that I can get behind — but also leave me unsure of how to feel. The fact that they always involve death is probably significant enough to think about as well. You’re All Surrounded, the buddy cop story with a dash of revenge thriller, is the first drama that comes to mind. The various memorable relationships were the heart of this show, but it was Dae-gu’s quest to find the truth behind his mother’s horrifying murder and his urgent need for revenge that became the driving force of the storyline. From early on, we saw how much these issues affected his life, both personally and professionally. His quest and desire for vengeance sowed seeds of doubt and unwarranted hatred in his reluctant bromance with mentor Seo Pan-seok. They turned him into a hotheaded, careless detective with a single-minded pursuit of the killer in black boots. They also hampered his budding friendships with the other rookie detectives and his endearing romance with his childhood friend. When it was hinted that the murder might have something to do with an affair Dae-gu’s mother had carried on with a certain chaebol son-in-law, I thought that this was THE plot twist that drama meant to deliver. It certainly became a new source of angst on the final leg of the story. It forced our taciturn hero to reconcile the mother he remembered with this unfamiliar side of her he never knew. So imagine my surprise when it was revealed that the affair was only a made-up story that was blown out of proportion because of a chaebol daughter’s manic jealousy. The drama basically told me that the death of Dae-gu’s mother was a tale of a senseless killing. Even years afterward, I still can’t decide how to feel about that. On one hand, it’s a brilliant display of chaebol callousness. But on the other hand, it has single-handedly undermined Dae-gu’s years-long suffering and conflict. And in all seriousness, what does that make of my own rollercoaster of emotions during the course of this drama? If You’re All Surrounded was all about blown-out-of-proportion death, sci-fi thriller Circle gave me the exact opposite problem through its hero’s easily forgotten death. The drama argued its case about the importance of memories and how a person is shaped using the turbulent story of twin brothers Woo-jin and Bum-gyun. Spanning both present and future timelines, it took us on a fast-paced and thrilling chase where each brother gave his all to find the other, while trying to save each other from the peculiar mystery that entangled them. The conflict peaked through numerous skirmishes about greedy corporations illegally manipulating people’s memories until it reached the climax that seamlessly merged the two timelines through the twins’ much anticipated reunion. This exhilarating meeting then screeched to a halt when the drama showed us the physically unchanging Woo-jin despite his 20 years disappearance. A new emotional conflict arose when it was revealed that human Woo-jin died years ago, and the person standing in front of our good guys was a clone who had Woo-jin’s full memory. This bold plot twist felt like an accumulation of every existential question the drama had touched before. It challenged our good guys’ unflinching morals and demanded them to take a firm stand about research ethics and what it means to be human. But then, in front of their first temptation, they readily (and almost desperately) accepted the clone as Woo-jin’s substitute. It rankled to see how they barely mourned Woo-jin’s death and easily set aside the principles they’d held on to for so long. By the end of the series, it felt like this one reaction had negated every thoughtful exploration the drama did before and it justified horrific human research so long as it suited people’s emotional needs. I’m pretty sure wasn’t the message the drama wanted to leave behind. The next ambiguous plot twist comes from medical procedural Sign. The episodic cases saw genius forensic doctor Yoon Ji-hoon and rookie investigator Go Da-kyung grow into a solid team, and we also saw their mounting frustration at their inability to solve the idol murder case that opened the drama. In another display of chaebol callousness, we witnessed a haughty heiress taunt the good doctors as easily bent the law as she pleased; using money and power to prevail over justice. Backed against the a lack of hard evidence, our hero Ji-hoon decided to give up his life so that his death could be that one undeniable piece of proof that would condemn her. In a bold and brilliant move that made me bawl and curse the world for all this unfairness, the drama closed its overarching case with the hero’s tragic death. Yet when I’ve tamped down my raging emotions, I found myself seriously questioning the message the drama wanted to tell by having its hero pursue justice through a suicide mission. Then came the recently ended Memories of the Alhambra. The drama efficiently reminded me that the deaths written about above are infinitely better than this drama’s final plot twist. After witnessing the AR game continuously taking characters’ lives left and right, I was led to believe that this suspenseful, fantastical journey would only end with our hero Jin-woo’s biggest sacrifice. Viewers braced themselves for a tragic ending — or a miracle at the eleventh hour, only to be smacked by a vague neither-here-nor-there appearance of the hero at the last second of the tale. Who knew that there would come a day when I complained that the hero wasn’t dead enough to provide a sensible ending? I just hope that this problematic un-death isn’t going to be a popular twist trend anytime soon. I have to agree about Circle. I can somehow understand that they were aiming for a parallel of one brother with no memories and the other one with only the memories. But they didn't elaborate on this point and it got lost among all the other plot points. That ending of Alhambra soured it for me. The last time an ending so annoyed me was Ooh la la couple and the cdrama The Young Warriors. Totally made me feel i had gotten invested into a story written by a writer who set about to write a clever ending instead of a true one. Yeah, I agree with you on Memories of the Alhambra. I can understand his friend being a "bug" and chairman was killed by his NPC son but the secretary was killed by characters, not by NPC. What happened to NPC Marco? The twist at the end didn't really answer all the why's I have. Really thoughtful post, thank you @gadis. I didn’t finish CIRCLE but I kept up with recaps, and I was left scratching my head about the message too... Maybe I should finally watch DUEL and see how/if they handle the ethical problems with cloning. Imo, Duel approached the ethical issue much better, probably because it has more time to explore it thoroughly. I do wonder though if watching the whole stories unfolded through the clone's POV is what helped me easily accept the clone's existence and made me see him as the biggest victim. While in Circle, it's human Woo-jin whose POV we were following through, so it's a bit head-scratching how easily everyone forgetting his existence. From what I recall, Circle had two reactions held by the 2 important persons to Woo Jin. His brother Joon-hyuk refused to accept the clone while Byul immediately accepted his clone as a continuation of real Woo Jin’s life. Joon-Hyuk did grieve and while I felt bad that real Woo Jin passed away, watching innocent Woo Jin 3 being rejected by his one and only family was also heartbreaking (OMG what a memorable scene 💔). It’s understandable that Joon-Hyuk put his feelings aside to work with the clone. He can’t shut out his brother’s clone when he possesses all the visual and emotional elements of his brother. The message I got was that the mind is what makes a person. It complies with most religious beliefs, that the physical body is just a temporary vessel. I didn’t think it justified the research because the focus of beta project was deleting and manipulating people’s memory. In WooJin 3’s case, he can be WooJin only because he housed WooJin’s complete memory. I do think they should have included an extra scene or two holding a memorial for WooJin. However, overall I was mindblown by this plot twist and absolutely loved it. Especially the merging of the two worlds, brilliantly executed! I’m in agreement with you. The body is temporary, but the soul is eternal, and the questionable methods that allowed the brothers to meet again, made meeting again possible. I thought it was very cleverly done. But then... would the clone possess his soul? Can we assume that it does? I think there’s no reason why we can’t assume this. It’s no different than reincarnation where the prevailing belief is that the soul of a person is reincarnated into different forms throughout history. And we see this in several Kdramas. Of course, Goblin, comes to mind first. However, where it gets sticky is that humans are the ones causing the reincarnating. So would God put that same soul in the reincarnated body? That’s the question. Depends on what you think a soul is. Since this is a drama, I can believe so. Since he a clone human, as oppose to a robot, he is capable of mentally processing life with Woo Jin’s memories and emotions and respond to the people around him as Woo Jin would. IRL though, the clone’s body will not grow as an exact replica of Woo Jin. A missing mole or scab would probably break me to pieces if I were Joon-Hyuk😭. i think the question Circle tried to raise was what makes someone, someone? would having all his memories and exact copy of his body make woojin3, woojin? how does that make someone with amnesia then, would that person no longer be that person? it's somewhat a conundrum of identity, of sense of self. woojin's brother did reject the clone at first, while the girl embraced him right away.. i personally think it was cleverly done. Circle was one of the few dramas that i wish was longer to explore the issues better (i remember W being another one). I think this is probably the root of my issue with the plot twist. It was a very bold question and conflict, but the resolution and final acceptance of the clone's existence felt rushed because of the shorter eps count. In the end, I think what I want is for the good guys to see the clone as someone separate from human Woo-jin because I don't think having the memories of doing or feeling something is the same as actually doing or feeling that. Having memories is just part of someone. Another piece is the sense of identity. Given the same backup of WooJin’s memory, Jun Hyuk didn’t feel like he experienced it, because it wasn’t him. He doesn’t identify himself as WooJin. Yet WooJin3 did. I think it would have been a true tragedy if WooJin3 was a separate person. It meant all that our main leads have been fighting for was in vain. It meant WooJin never found his brother. Jun Hyuk has been searching for ashes. Byul lost her love. That would be an awful ending IMO. Circle reminds me Altered Carbon. People can transfer the data of their brain in a new body and they become immortel. Except poor people can choose the new body and the rich ones can have what they want and they make clone. It was really interesting subject about death, life, science, etc. I screamed when I saw Woo Jin and Bum Gyun. I had to agree with Bum Gyun when he cried that the clone in front of him wasn't his brother. "If you're Woo Jin, then who's the person that died?" "His hands aren't the hands I held." It's such a huge conflict. I grieved for Woo Jin who lost his life, but I also feel sorry for the clone who felt like he's nothing. I gotta say, I'm glad human cloning hasn't existed... Yet. Yes!!! The elusive “Circle” essay appears! @leetennant and I have been trying unsuccessfully to give it the recognition it deserves. Although, you have a different view than I about the implications of what makes a person a person if they share the same memories. And I thought the show handled that well. The clone of Woo-Jin was no different than the original one and needed to be loved by his brother. The original Woo-Jin was long gone and mourning his death would have added unnecessary grief to the entire situation. And he was no longer there to feel and see that grief as well. But then a very real person still dealing with separation anxiety, paranoia, and loss is now alive and that is the person you care about and love. This is the ultimate kdrama plot twist, really. It really was. I was tempted to write about it but since I've written three (THREE) Circle pieces that db has refused to publish I decided not to. 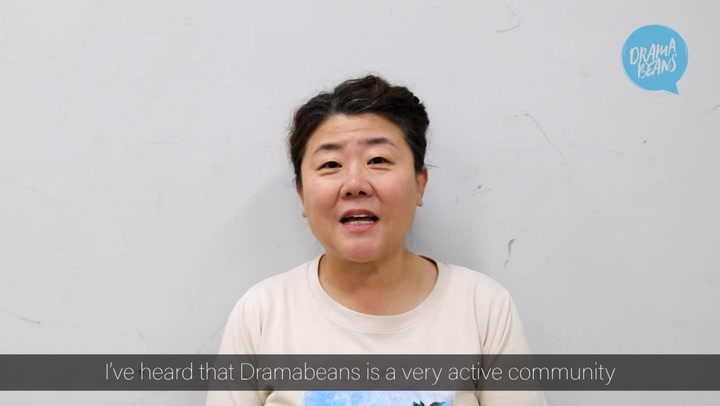 I'm so glad it got a mention because there is no other like it in dramaland. I still remember that moment when you thought you were in one time period and then BAM! you're actually in the other and Woo-jin was still the same age - honestly it blew my sleep-deprived, gin-soaked mind. I've never had that experience with any other kdrama - before or since. I admit I also didn't see this issue of the clone in precisely the way @gadis did. To me, the show's point was that we are our memories. That's why messing with them was so wrong. So Woo Jin was Woo Jin because he had his memories. Ironically, while the clone Woo-jin was completely Woo-jin, Bum-gyun was never entirely Bum-gyun because he never had Bum-gyun's memories - just the memory of seeing them. That's where the part of him that was Joon-hyuk came into things. Rejecting the clone would have been extremely cruel and it would have been rejecting somebody who WAS Woo-jin because we are our memories. I didn't see this as giving a pass to the experiments so much as showing kindness and compassion to somebody who is a blameless victim of them. I may have tried (again) this month as well, so that’s TWO denials for me. I wasn’t going to write anything this month, but you know what they say about idle hands. They write Circle posts that never get published. I get the message Gods of Drama. I get the message! Yes, please post on your wall! Ally has been busy this morning posting some Circle stuff on her own blog. Woo Jin’s mind has been desperately seeking his lost brother longer than his own life. WooJin’s death was a direct result of not giving up his brother. JunHyuk denying the clone as his brother was heartbreaking. As his memory were passed from one being to another, the pain he felt was just like his brother leaving him for another crazy reason. His pain has never died😭. I loved Circle so much, and it's interesting that the plot twist didn't strike me the way it did you. Do you mind if I ask how then would you have written the story, from the point Woo Jin was revealed to be dead & the clone carried on with his memories? I am still anguished by the ending of Sign. I was obsessed with that drama back in the day, to the point where I was rewatching the episodes over and over while I waited for new episodes, and while I had this niggling feeling that it would have a sad ending, I kept thinking, "Nah, look at all these rom-com moments! Surely they'll get a happy ending!" And then Ji Hoon died in the first minute of the last episode and I kept waiting for the "Gotcha!" moment because who the hell kills off their hero in the first minute of the last episode??? Once I got over the shock, I was just plain angry. Angry that he had to go that far, angry that he left the female lead all alone after he let her fall so much in love with him, angry that I couldn't even really be angry because the ending made perfect sense for Ji Hoon. He was THAT crazy and I 100% believe that he would do that so I couldn't even fault the writer for taking the character there. It was just so depressing. I wanted the bad guys to get punished, but I also wanted happiness for the good guys. Sign just wasn't that kind of show. I can't even bring myself to rewatch it even after all these years. A true example of how much an ending can impact the rest of the show. Sign also completely surprised me. I thought they would go to the morgue and Ji Hoon would be alive under the sheet, and their complete ruse would have caught the murderer--but no, that wasn't the case at all. Another one with a twist was one of my all time favorites, The Princess' Man. At the end you think that the lovers are both dead, but not so. However, Seung Yoo is blind, and you realize that that is the only way he will ever be able to live his life in peace, because he is so bent on revenge--so the twist really makes sense. Sign is one of the first korean procedural that I watched. I thought it was something quite common to have the hero met with a tragic ending in a non-melo story. It's not until I watched more crime and procedural dramas that I realized Sign is an exception, even until now. Fortunately, the writer never pulled the same traumatic twist for her other dramas.